In brief: Submerging a PC in a tank filled with mineral oil to keep it cool isn’t new, but it’s always impressive to see. Now, a 3M employee has demoed the method using the company’s own Novec engineering fluid. 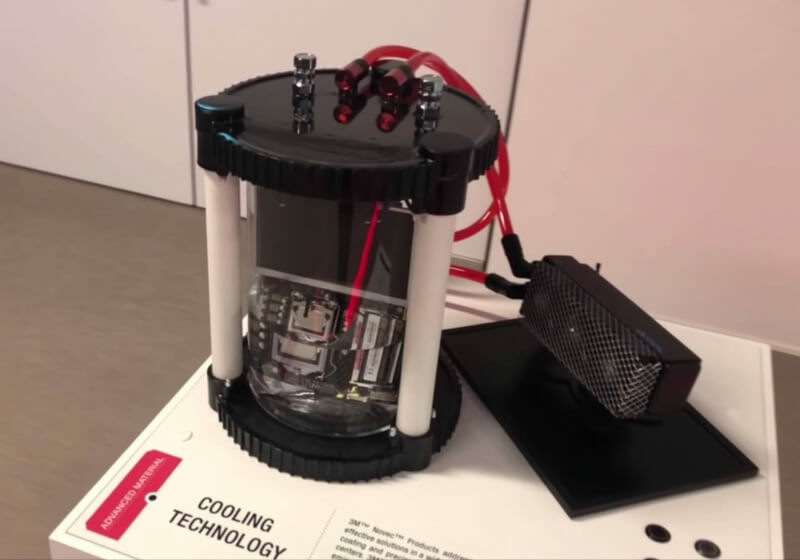 [embedded content]When running a stress test, the heat of the processor quickly reaches the boiling temperature of the Novec liquid, causing it to evaporate. The gas travels upwards inside the sealed tank, making contact with the cooler radiator and condensing into its original liquid state, which drips down back into the tank.